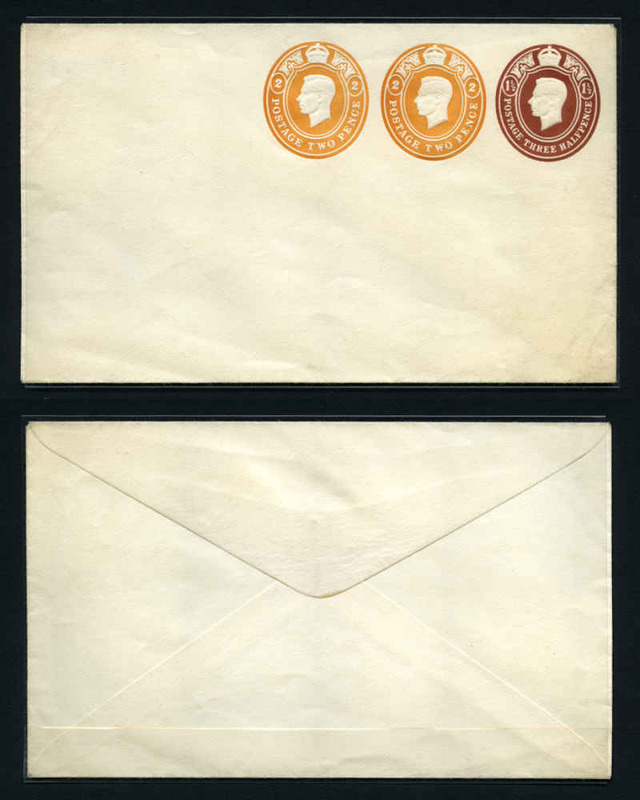 1939-57 1½d Brown + 2d Orange + 2d Orange PTPO envelope in fine mint condition. H & G B656. 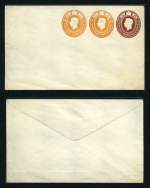 Large carton containing thousands of commercially used Pre-Stamped Envelopes from 1978 to 1990's including some Frama covers and miscellaneous items. Weighs 22kg. 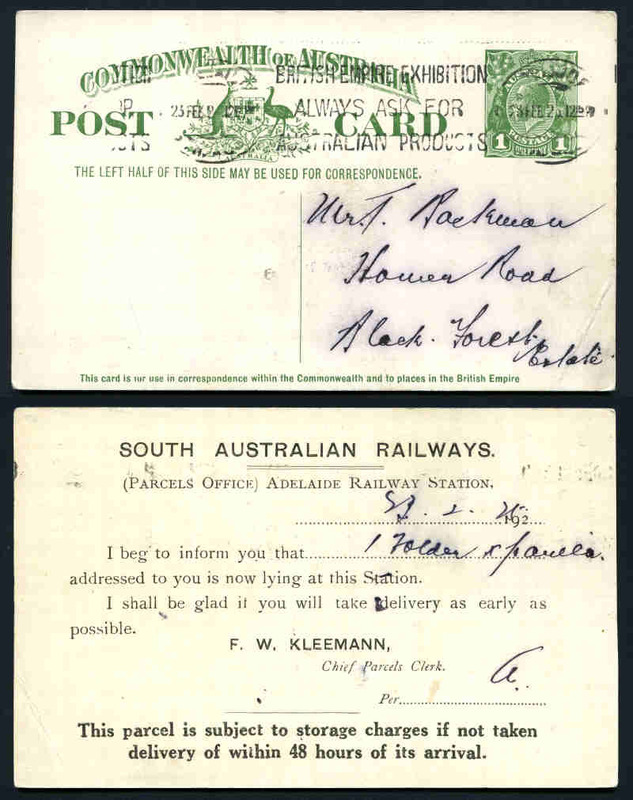 1911 1d Red KGV Full Face overprinted O.H.M.S., 1916 1d Red Die I, 1921 1½d Brown and 1924 1d Green Die III KGV postcards used, all with South Australian Railways printed on reverse. 1d Green and 1½d Brown with bent corners. ASC P3, 10, 19 and 29. 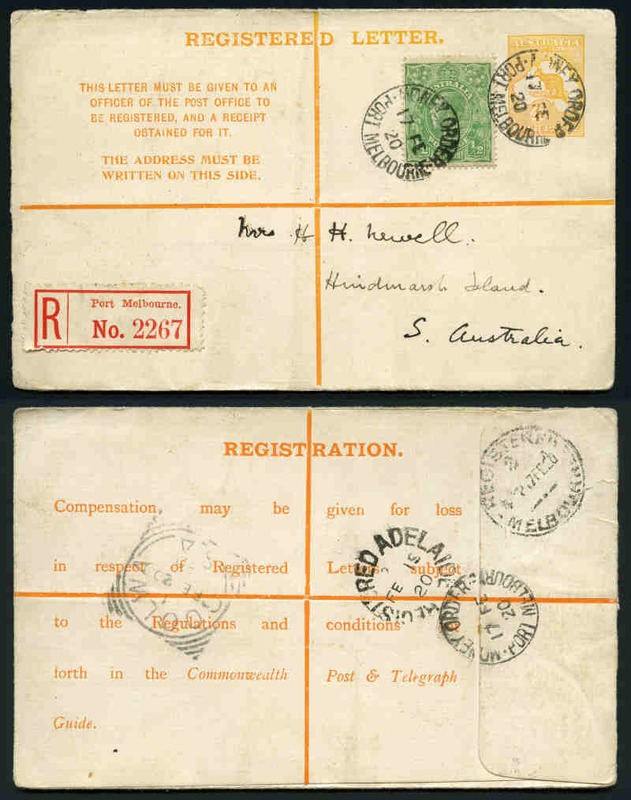 1913 4d Pale Orange Kangaroo Registered Letter from Port Melbourne to Adelaide with additional ½d Green KGV, various backstamps and Red Port Melbourne registration label. Fine condition. ASC RE2. Accumulation of 1,089 mint and 587 cancelled FDI Aerogrammes from 1980 to 2005 including many sets and duplicates. Face Value $909.83. Accumulation of 777 First Day Covers, Pre-Stamped Envelopes and postal stationary items from 1947 to 2002 including some special postmarks, plus 1976 Red, 1978 Blue and 1981 Brown (3) Postcard packs and 1999 World Stamp Expo Philatelic Passport. Some duplication and odd fault. 1988 Australian Bicentenary collection of MUH stamps, First Day Covers, Pre-Stamped Envelopes, Maximum cards, Collector cards, Post Office Packs, set of 5 Bicentennial books and Stationary packs. Some duplication. Face value of MUH stamps $85.00. 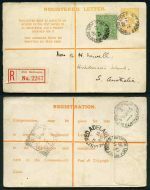 Accumulation of hundreds of Postal Stationery items from 1967 to 1998 including First Day Covers, Pre-Stamped Envelopes, Maximum cards, Embossed Envelopes, Aerogrammes, Lettercards and Newspaper Wrappers with some special or commemorative postmarks, plus range of miscellaneous items. 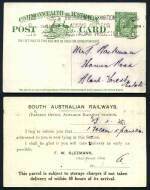 Noted 1979 Lindsay PSE cancelled with Purple Creswick postmark and 1983 30¢ NSW Coat of Arms PSE signed by Don Bradman with 75th Anniversary special postmark. Also 1976 Red (2) and 1978 Blue Postcard packs. 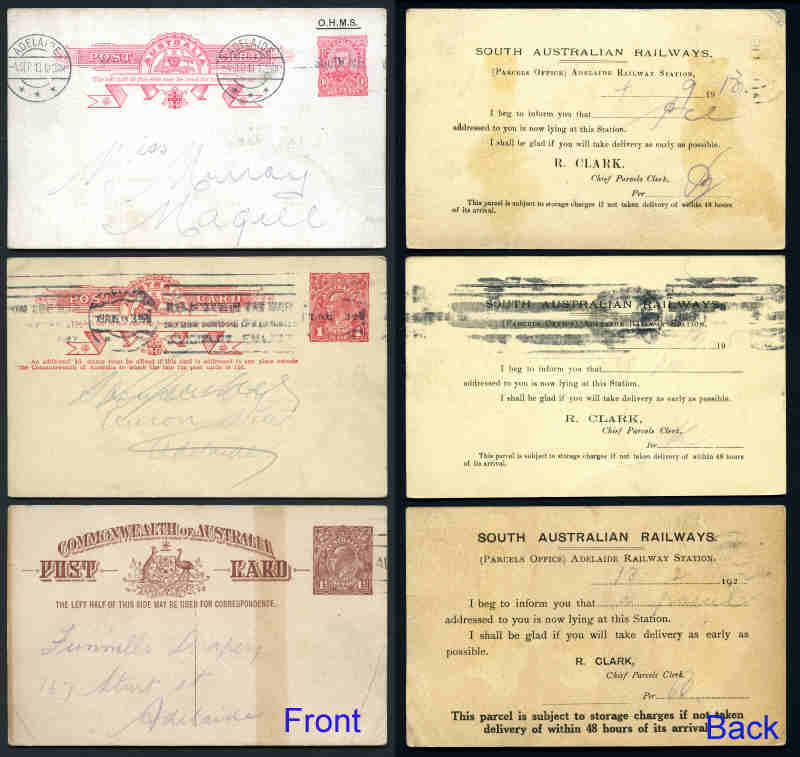 Collection of First Day Covers, Pre-Stamped Envelopes, Aerogrammes and Maximum cards from 1978 to 2001 including some AAT, Christmas Is Australia and Cocos (Keeling) Is Australia FDC's and a range of covers with special or commemorative postmarks. Light duplication. Face Value $1,528.00. Also 1976 Red, 1978 Blue. 1981 Brown, 1982 Black and 1982 Natural Heritage Postcard packs, plus a few miscellaneous postal stationary items.